Short but well-told online video ads that celebrate close family ties, which are popular among Philippine audiences, apparently also find resonance among online viewers in China. When Yonghe King, a Chinese restaurant chain owned by Philippine fast food giant Jollibee Food, released an online video about a son taking care of his aging mother late March, it instantly won 20 million views in just a week, according to Carl Tan Caktiong, Yonghe King president, who wrote about it in a Facebook post from China. Carl is the son of Jollibee Foods founder Tony Tan Caktiong. 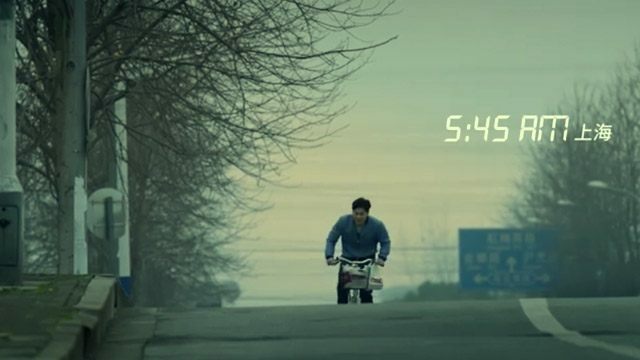 Lasting about four minutes, the online ad, which aims to promote Yonghe King’s soy milk product, attracted a large number of audiences in social networking platforms Tencent, iQiyi and Weibo – China’s closest counterparts to Facebook, YouTube and Twitter. That kind of favorable audience reaction echoes the success of Jollibee Foods’ recent three-part series of video ads in the Philippines, which garnered an average of 15 million views on Facebook and YouTube almost two months after they were posted. Revolving around the themes of family and unconditional love, the three videos were released in time for Valentine’s Day in February. Related story: Clicks to Chickenjoy: Do Jollibees's Viral Videos Boos Sales? The favorable reception to Yonghe King’s online advertisement came as the company is beginning to recover from slowing sales in China in the second and third quarters last year. Jollibee Foods, the Philippines’ biggest fast-food chain, has been expanding its footprint in China since 1994. In 2004, it bought Yonghe King for $22.5 million, now its biggest business in the mainland with 310 stores as of end-December 2016. It was followed by the acquisition of congee-maker Hong Zhuang Yuan in 2008 and beef noodle-seller San Pin Wang in 2012. However, Jollibee sold its interests in San Ping Wan to focus on Yonghe King last year, a sign of the challenges it’s facing in China. Jollibee Foods currently operates three brands in China: Yonghe King, Hong Zhuang Yuan and Dunkin’ Donuts. It also has a 48-percent interest in 12 Hot Pot, a joint venture restaurant chain with Wowprime Group that serves low-cost hot pot dishes.